Public libraries are helping make sure kids have access to nutritious food when school is not in session by hosting summer food programs. Once again this summer, Northwest Regional Library (NWRL) staff are reading at meal sites that provide free meals for children and their caregivers in Thief River Falls. The Library Ladies read stories to children as they eat their lunches. 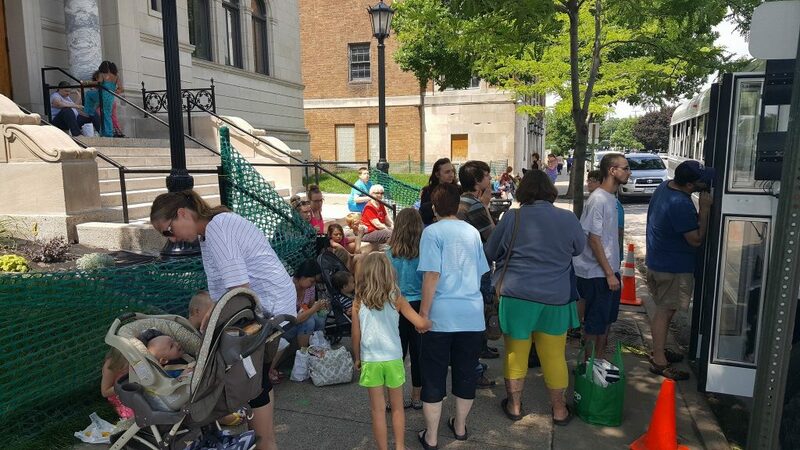 NWRL also uses the Once Upon a Reader story strolls to promote early literacy. The Winona Public Library in SELCO is collaborating with the Winona Area Public Schools to provide a FREE lunch program at the library for children ages 18 and under, June 13 – August 26, from 11:30 am-1:00 pm, Monday thru Friday. Children can “grab and go from the lunch bus” or may eat in the bus or on the library’s old front steps. This entry was posted in Regional News and tagged NWRL, SELCO, srp, summer food service, summer reading program. Bookmark the permalink.